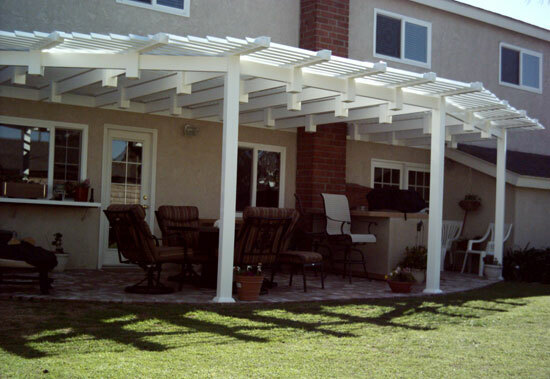 Affordable Fencing Company is Southern California's premier choice for high quality, affordable vinyl patio covers to compliment, cool and protect your outdoor residential or commercial space. With nearly 30 years' experience and a 50-year warranty on all vinyl products, Affordable Fencing Company delivers the best value in patio covers with fast installation and excellent customer service. 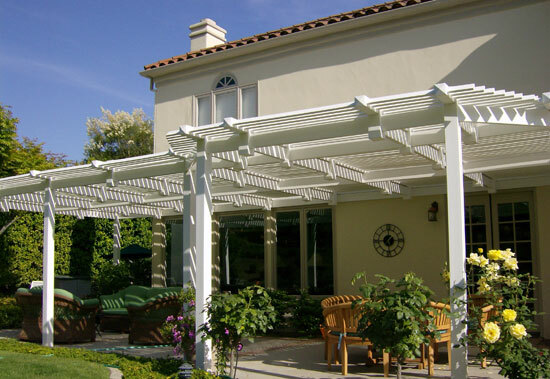 An attractive and long-lasting patio cover for complete sun and weather protection to provide maximum comfort, increase property value, and reduce air conditioning usage. A variety of optional features: lighting, ceiling fans, corbel ends, etc. 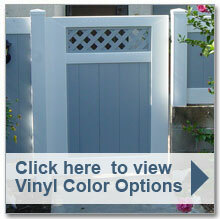 This cover provides varied coverage to accommodate your home or business' specific needs. 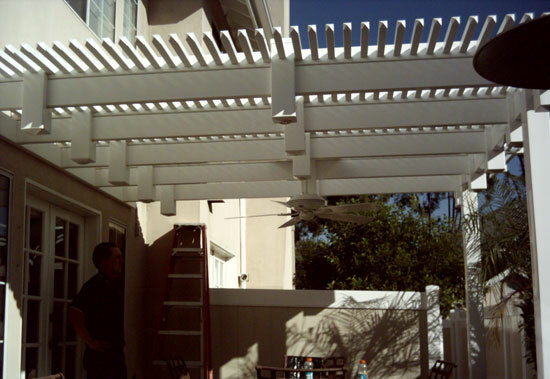 A sleek and durable patio cover to create the ideal balance of sun and shade.